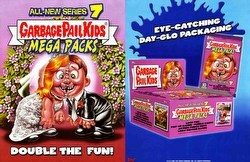 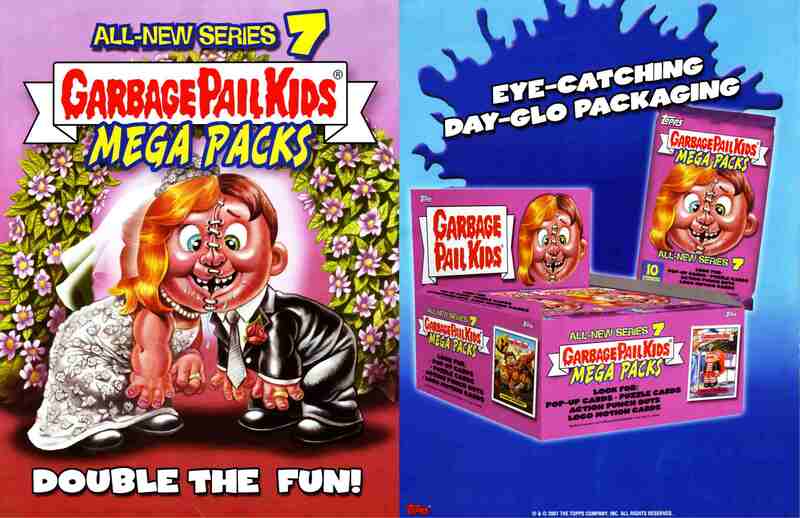 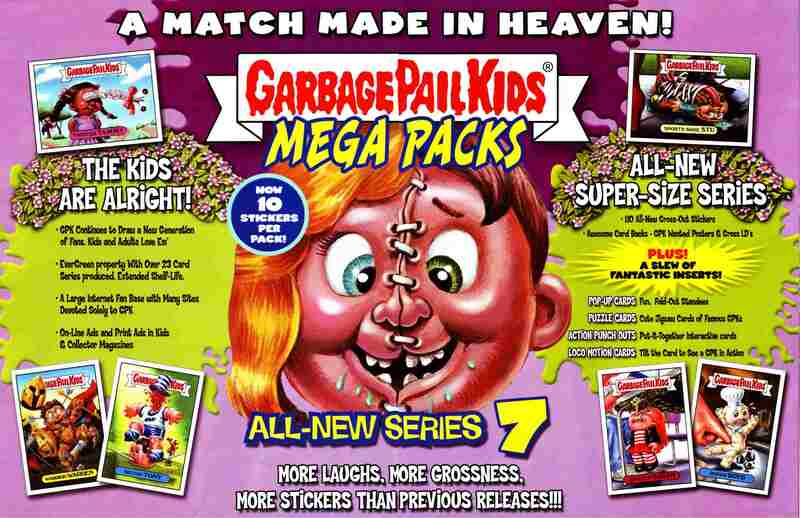 The Series 7 "Mega Pack" introduces an all-new jumbo Garbage Pail Kids set. 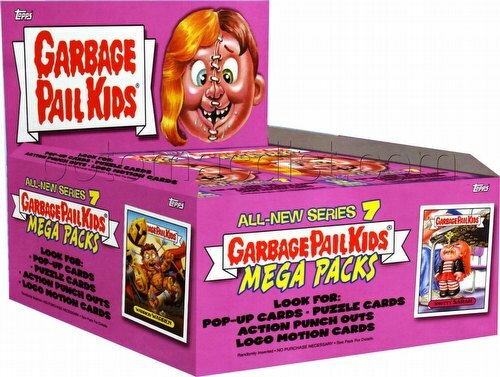 Inserts include Pop-Up cards, Puzzle cards, Action Punch Outs, and Loco Motion cards. 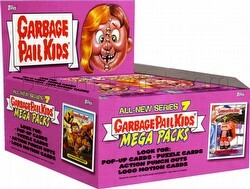 There are 110 cards in the set. 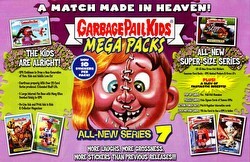 Card backs include Wanted Posters and Gross Ids.